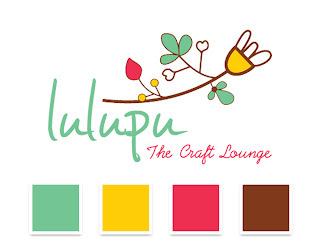 Lulupu - The Craft Lounge: Lulupu Challenge #14 - Colour Crush!! Now for this month's challenge..
1. Create a Card OR Layout, whatever you are comfortable with. 3. 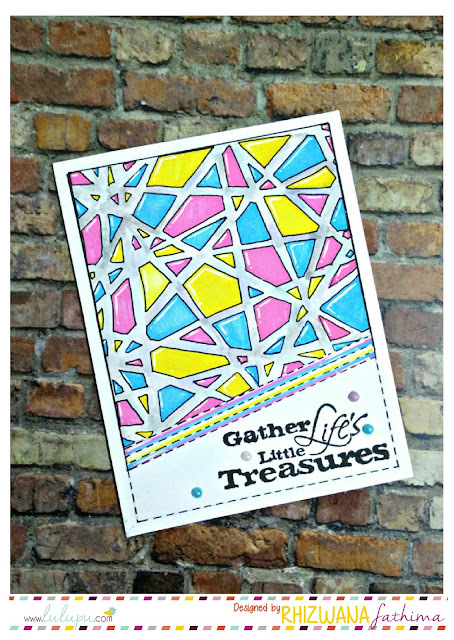 Please link back to this post in the challenge entry post on your blog. 6. You may link to a maximum of 5 Challenges, including this one. 9. Lastly, please disable word verification from your blog to help our DT members leave a comment easily. And now, I have something that will floor you!!! This is what the winner of our challenge will get! This awesome die - Whimsy Circle, from Memory Box. So? Are you ready to see what I came up with?? Okay.. here it is.. I decided to do a layout because it had been long since I made one. Actually, I have made Layouts only for Lulupu Challenges and I am really lagging behind with my pre-wedding scrapbook. It's been almost 5 months post-wedding and I had just two pages done. So I said to myself, let's just do this layout. :P :P And here's what I made. I used Creme fabric tape on the top and bottom edges of the layout. This is the Fairytale Flower Border Die from Memory box (available at Lulupu.) I used distress inks to colour it - Barn Door, Peeled Paint, Mustard Seed and Vintage Photo.. I used American Craft Thickers and Memory Box Button Die here..
Love the palette colors..very nice Layouts !! wow! lovely challenge...and loved ur lo too! nice challenge. btw i dont own a die cutting machine yet, can i use readily available die cuts? will it be eligible? Please note the edit in the post above (in blue.) If the die cuts you use are factory made, they will NOT work. However, if you've purchased die cuts from another crafter, who has cut them using a cuttlebug, big shot and the likes or any electronic die-cutting machine, that is fine.. :) I hope that answers your query. Let us know if you have any other doubts. btw lovely layout n romantic pics. Hi... i have just posted my layout. I am new to blogging,so pl let me know if i have missed out on anything.Thanks. I've entered your challenge. Thank you! Love your blog!